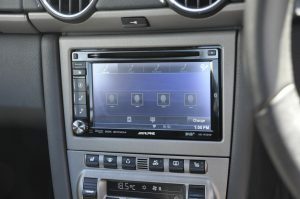 If you have never upgraded any of the factory audio systems in your car please read here first. There can be many steps to achieving a good sound in a vehicle, varying from a simple speaker upgrade to a full on amplified system. Listed below is an insight into what these steps are. The best and simplest way to upgrade an audio system is to fit a set of front component speakers. This consists of a woofer, tweeter and a separate crossover. The crossover separates the frequencies produced by sound into high frequency and middle frequency. The tweeter produces the higher frequencies and it is best suited either high up on the door or around the dash area. The woofer should be placed lower down in the door area. These are generally fitted in factory locations so nothing is on show. A stereo upgrade generally means better quality audio, more power to the speakers and more settings to adjust the sound. 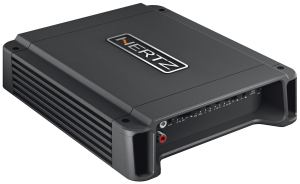 If you’re looking to add an amplifier to your system you should look for a stereo with a high pre-out voltage, normally around 4v. This gives a better signal to the amp resulting in less gain needed on the amp therefore giving you better sound quality. Dedicated subwoofer pre-outs are becoming more and more common and also lead to better sound quality from the subwoofer. Don’t worry if you have a stereo that can’t be replaced, we can still get a good sound out of a factory stereo using specific interface modules. If you want to go even further to get the best from your component speakers then an amplifier would be the next improvement. 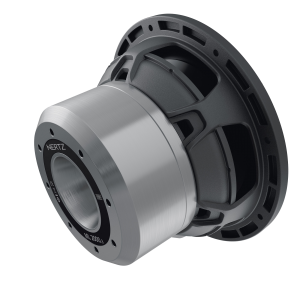 This will increase power and also allow you to tune your speakers to your own specification. An amp will also add depth to the sound and give you more control over what you are listening to. Similar to a subwoofer, an amp can be quite small and sometimes hidden away so you can’t see it at all. 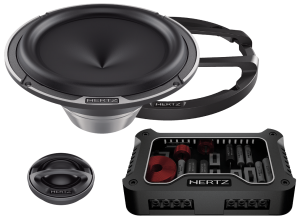 Wiring is always needed if you’re looking to add an amplifier to your system. You can get a full wiring kit from around £35 but this will depend on the power/spec of the amplifier(s) you are using and we will happily discuss these options in store. This is a very good idea and one that should never be overlooked. Sound deadening stops the metal (and sometimes plastics) of the car resonating thus reducing the sound quality of the speakers you are fitting. To see how this works pop into the shop at some point and have a play with our sound deadening demo stand.